Canada's rail stretches from coast to coast and is our favourite way to take in Canada's vast and challenging landscapes. It's like viewing the countryside from a luxury observation deck, unaffected by the environment, the cold as we climb into mountains, or the dry heat as we move across deserts. May we recommend an award-winning BC wine? We’ll let you in on a secret: they all pair perfectly with the scenery. Journey alongside stunning Anderson Lake when on the Rainforest to Goldrush route, included in our Discover Whistler and the Canadian Rockies By Rail itinerary. Travel from the cosmopolitan jewel of Vancouver to the heart of the Canadian Rockies and you’ll understand why so many are enamoured with the Mountaineer magic. 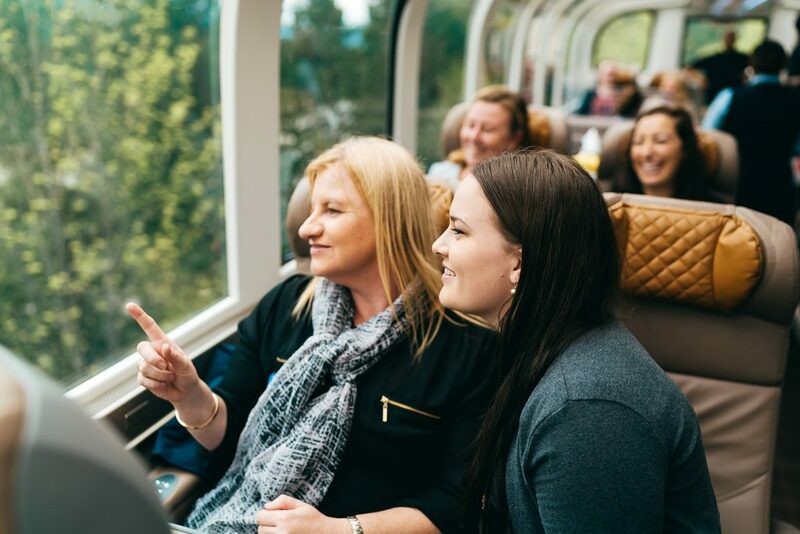 Days onboard the Rocky Mountaineer and its scenic domed car are a feast for all your senses. Let your home away from home gently rock you to sleep. We’ll recommend the perfect type of cabin for your unforgettable adventure, like this cabin for two on the Ocean train service bound for Halifax. It’s easy to get lost in the landscape outside your window. You’ll be just as awed by the lore of the land as you will its beauty. We have excellent suggestions for books on Canada and Canadian history, perfect for days onboard the train. Ours is a nation that grew from the tracks. There is something iconically Canadian about traveling by train and discovering the incredible views you can’t see any other way. We invite you to sit back, relax and let VIA Rail be your window to our majestic world.